Steering Covers There are 4 products. Material: micro fiber leather. Outer diameter: 37~38cm. Weight: 70g. Please select a type. 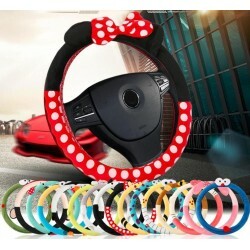 Cartoon steering wheel cover. Size: 38 * 38 * 4cm. Diameter: 38cm. Weight: 280g. Please select a type. 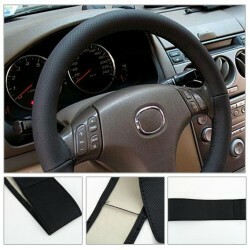 Car non-slip steering wheel cover. 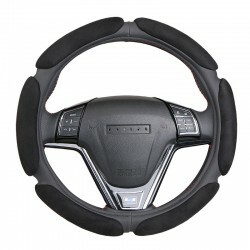 Fits all standard steering wheels 14.5" - 15.5" diameter. Material: flannelette. Please select a type.